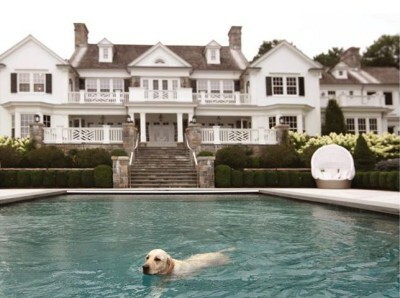 Home Travel Destinations Pets Vacation Like Celebrities in the Hamptons This Summer! If you’re planning a summer vacation on Eastern Long Island, look (and sniff) no further than the Hamptons! A summer retreat for many celebrities such as Howard Stern, Alec Baldwin and Billy Joel, now you can experience the lap of luxury, just like their pets! The Hamptons have a little something for everyone, including your furry best friend. Southampton and East Hampton are home to beautiful beaches, great restaurants and quaint villages full of both unique and high-end shops. 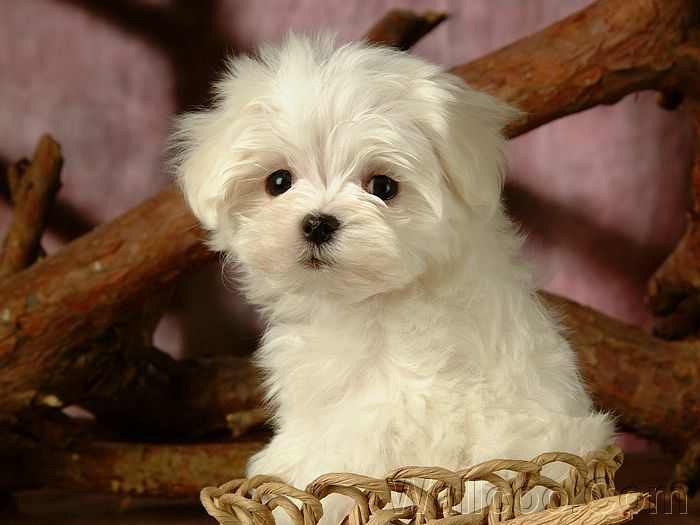 If your pooch is getting the steamy city blues, why not take him or her on a Hamptons getaway? The first thing you and your pet need is a nice, cozy place to rest. There are quite a few pet friendly accommodations in the Hamptons. 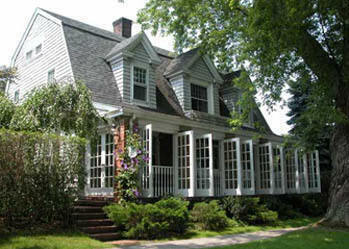 Right on Main Street in East Hampton is a bed and breakfast called The Mill House Inn. Dogs are allowed in designated rooms for an extra $50 a night, but food and water bowls are complimentary! 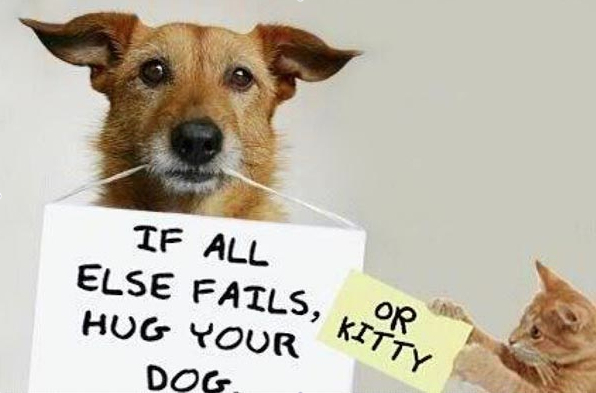 Innkeepers will not only cook dinner for you, but for your canine buddy too! Ask any of the staff and they will be more than happy to point you to the nearest dog friendly beaches, shops and restaurants. Just minutes away from shops, restaurants and the beach is The Southampton Inn. 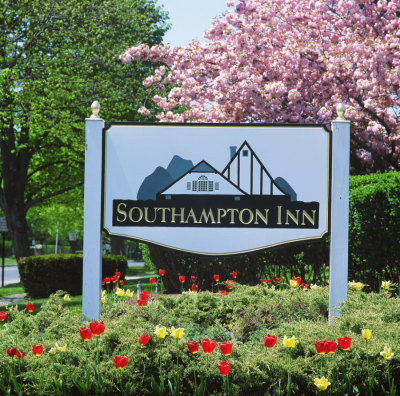 Located right in the heart of the Southampton Village, the inn allows up to 2 dogs per room for an extra $39 a night per pooch. More accommodation options in East Hampton are the Bassett House Inn and the Huntting Inn. The Bassett House Inn is a bed and breakfast located right on Montauk Highway where your canine companion is always welcome. The Huntting Inn is home to the renowned Palms restaurant in. While you may have to leave Fido behind while you dine, he is certainly welcome to relax in your room. For The Huntting Inn’s rates and to make a reservation, call 1(631) 324-0410. 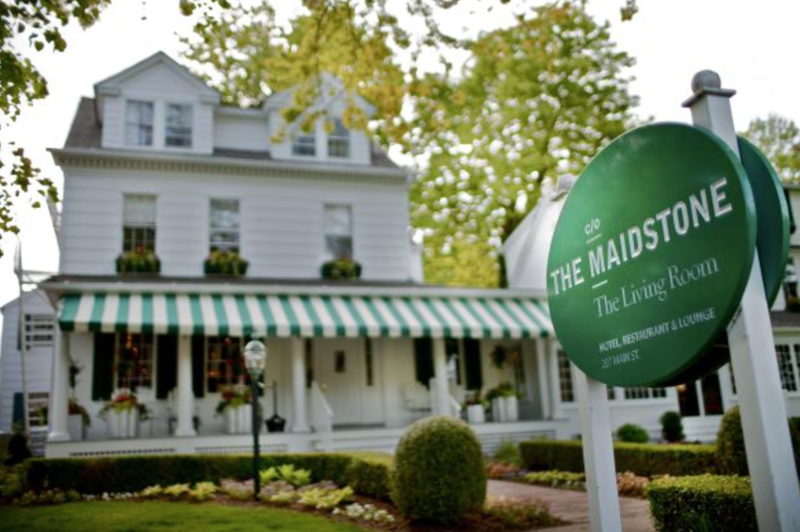 If a bed and breakfast isn’t quite what you or Fido had in mind, c/o The Maidstone may be just the retreat you are looking for. Owned and operated by dog and cat friendly chain Care of Hotels, The Maidstone in East Hampton is the only US location, and for just $25 extra a night to bring your dog or cat, you can’t go wrong! Owner Jenny Ljungberg talks about an amenity at The Maidstone that not many other hotels offer. “Hotel guests are more than welcome to go for a walk with my dog Lexington, or the General Manager’s dog Pheobe!” Pheobe lives on the property, so there’s always a wagging tail to greet guests. The hotel’s restaurant, The Living Room, allows you to bring your canine companion with you, and even offers a “Woof Menu”, with 5 special meals just for your pooch, such as grilled ground beef or eggs. For those pups that don’t want to pack on the pounds or have certain protein allergies, you can order a locally grown apple and carrot just for those sensitive tummies. Located right on Main Street, this hotel may be just what the veterinarian ordered! 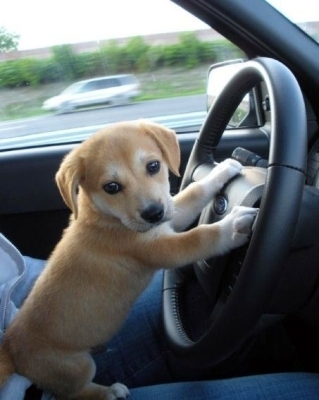 Once you and your pup are done relaxing, it’s time to go out on the town! For nature-loving humans and their canine counterparts, there’s plenty to do and see. Right in East Hampton is the Cedar Point Lighthouse Loop Trail located at 101-117 Cedar Point Road. It’s a 5.65 mile, 2.5 hours hike that takes you along a lighthouse. Just a short trek north into Sag Harbor is Long Pond Greenbelt Trail located at 60-82 Round Pound Lane. It’s a 3.5 mile, 2 hour walk that takes you along marshes, ponds and swamps. Looking for a more leisurely walk? Southampton has many parks and greenways for you to stroll with your pup. Dogs are allowed in all of Southampton’s green spaces and there are even designated areas in lakes if Fido enjoys the doggy paddle! If hiking or swimming isn’t really your thing but you still want Fido to be able to romp around, head over to Springs Dog Park at Three Mile Harbor Road in East Hampton. 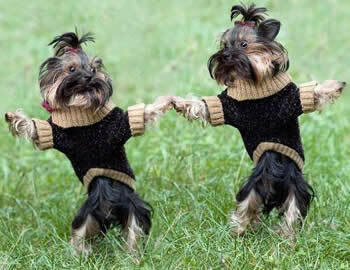 Here you can let your pooch run free unleashed and play around with other dogs. After doing some shopping at any of the designer stores such as J.Crew or Ralph Lauren, it’s time to find a good place to bring your parched pup for some nourishment. 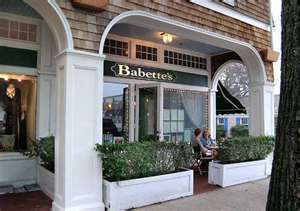 For some organic, vegetarian and vegan dining options, check out Babette’s in East Hampton, a restaurant known to make special treats just for your dog. Another option that isn’t too far is barbecue joint Townline BBQ, where your dog is welcome to dine with you outside. If you’re in the mood for Japanese cuisine, there’s Sen located in Sag Harbor, where dogs are also invited to the outdoor tables. Le Chef, located in Southampton is a charming French bistro that welcomes dogs at their outside tables. 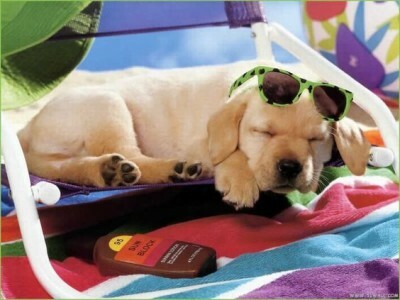 If you feel like pampering your pooch, you can head over to the Classy Canine Spa in Southampton, or if you want your pup to really feel like they belong in the Hamptons, why not book them their very own photo shoot with The Puparazzi! 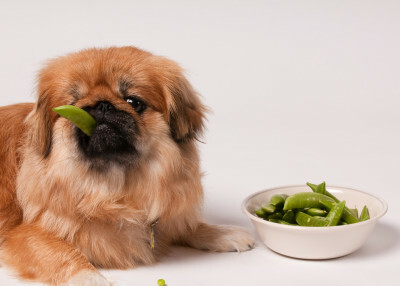 For some organic treats, look no further than The Hampton Pet Chef! Now this is fine canine dining at its best! 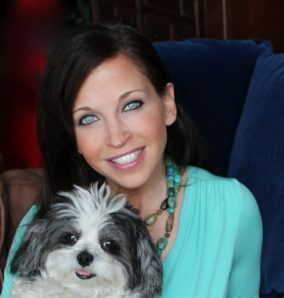 Personal Pet Chef Bonnie Emmerich makes home-made, all natural meals catered to your dog’s palate! 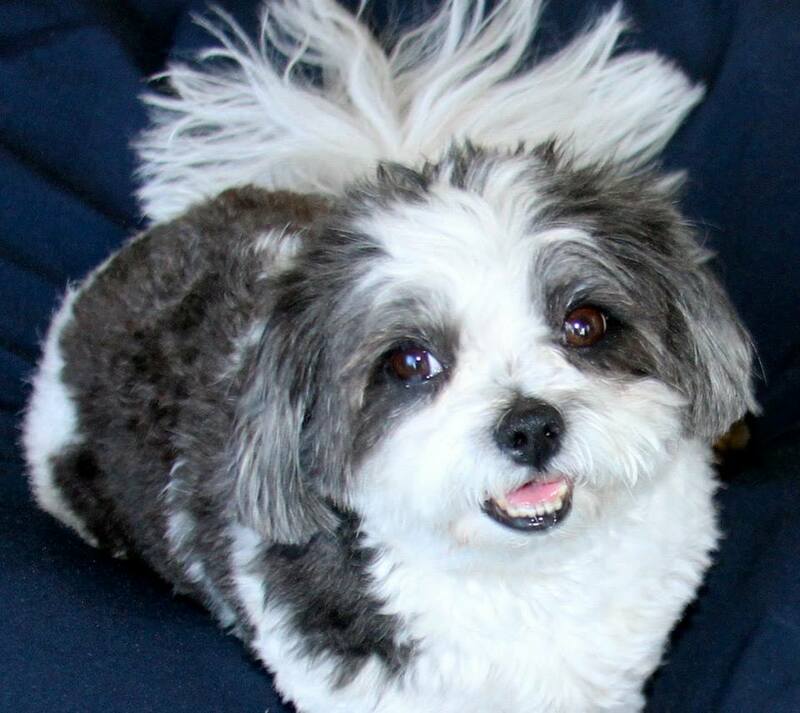 Bonnie knows her customers and their pets have a close bond. “My clients are people that really consider their dogs/cats as part of the family. 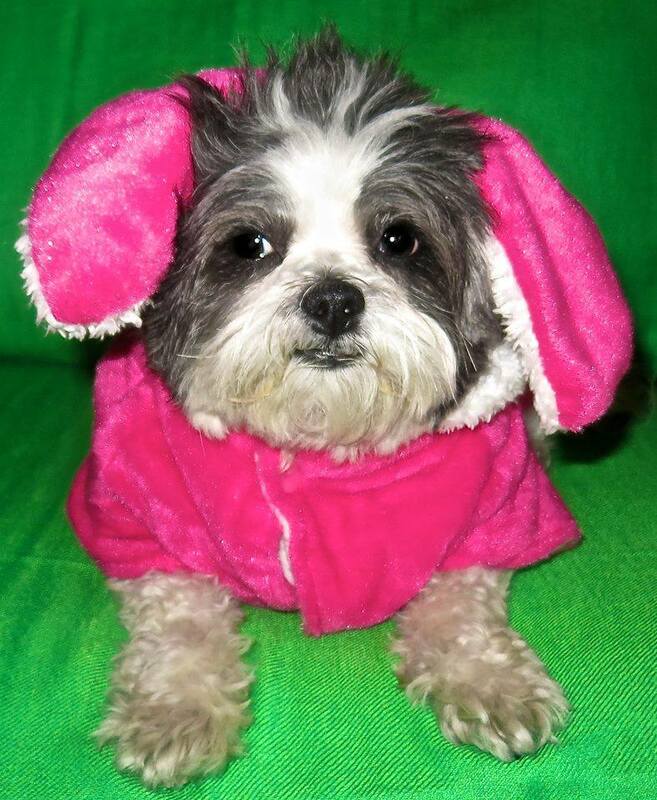 They want a more intimate relationship with their pets and the health of their pets,” Bonnie stated. “Just like the new farm to table movement in restaurants and groceries, my clients want to know that their animals are getting the freshest and most natural food they can,” said Bonnie, and they certainly are! She also caters parties for people as well as dogs. If you really enjoy her services and you live in the tri-state area, you can even have the food delivered to your home! Baby Hope and her friends hanging out in the Hamptons! 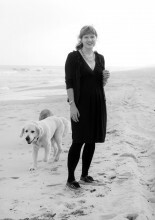 Finally you and your now tuckered pooch can enjoy an evening on the beach. 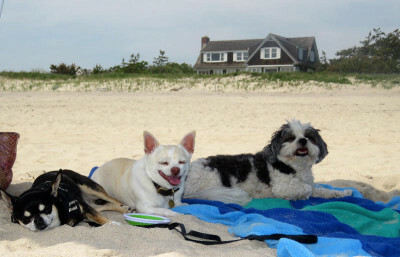 East Hampton has 5 beaches, all allow dogs after 6pm. If you don’t have a village parking permit, you can get a visitor’s day pass for $25 at Village Hall or at the Main Beach office. This pass is only valid for Main Beach and Two Mile Hollow Beach, and make sure to have a valid picture license when you go to get your pass! Once you have your pass you and your canine pal can relax and lounge on the beach until it’s time to head back to your pet friendly hotel. If Fido starts to feel a little under the weather, in case of an emergency we recommend East End Veterinary Emergency and Specialty Center. If you or Fido would like to add a new member to your family, be sure to check out the great rescues and charities in The Hamptons! There’s no reason to go dogless when you come to The Hamptons! Bideawee is located in Westhampton and has a shelter as well as a veterinary services that include spays/neuters. If your feline and canine family is already full, you can always make a donation or foster a dog until he can find his forever home. Don’t forget, when you adopt you are actually save the lives of two animals! 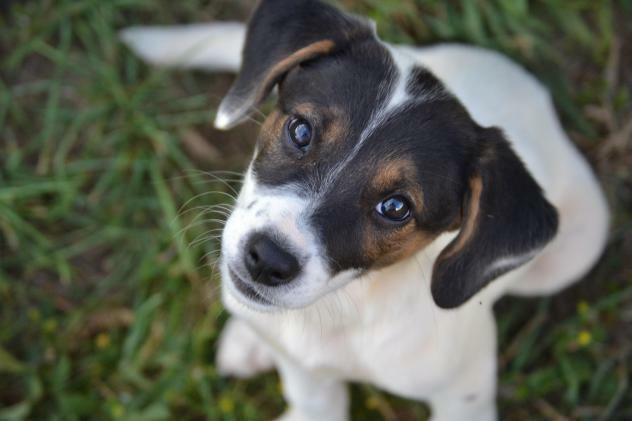 Bringing home your new family member means the shelter has room to bring in another homeless dog or cat. It’s the gift that keeps on giving! 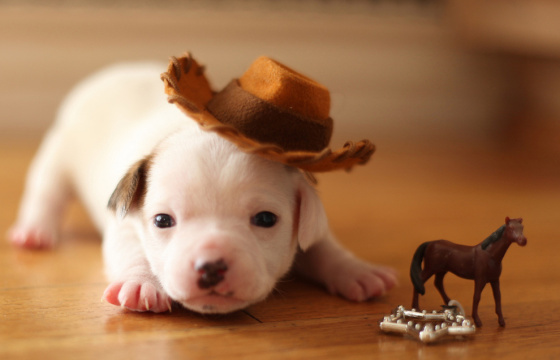 Previous articleThe 10 Most Hilarious Dog Breeds In The World!